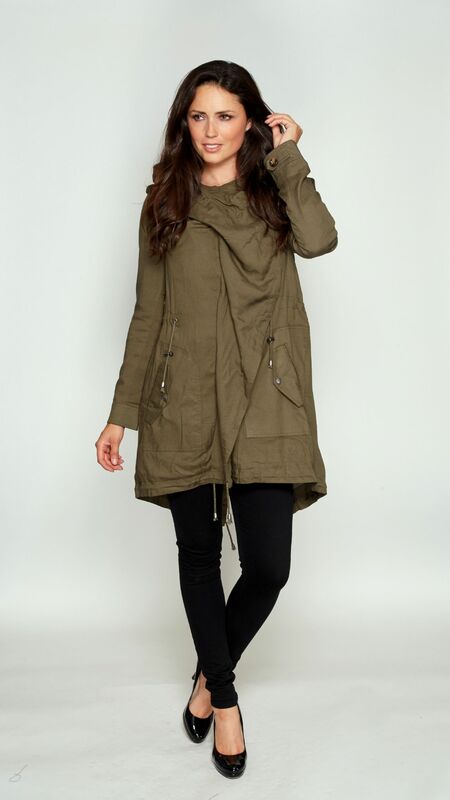 Women's drape front lightweight Parka coat with big drawstring hood, waist and hem, its loose style leaves room to wear warm layers. With the traditional Parka coat in mind, the rear has the classic fishtail shape and drawstring. The fabric is a machine washable hard wearing Viscose - a good travel jacket choice if this is your style.